Perfect for adding a new and exciting dimension to your favourite evening ensembles, these 9ct Yellow Gold 0. 12 Carat Total Weight Diamond Marquise Drop Earrings will ensure that you always look the part, no matter what the occasion. 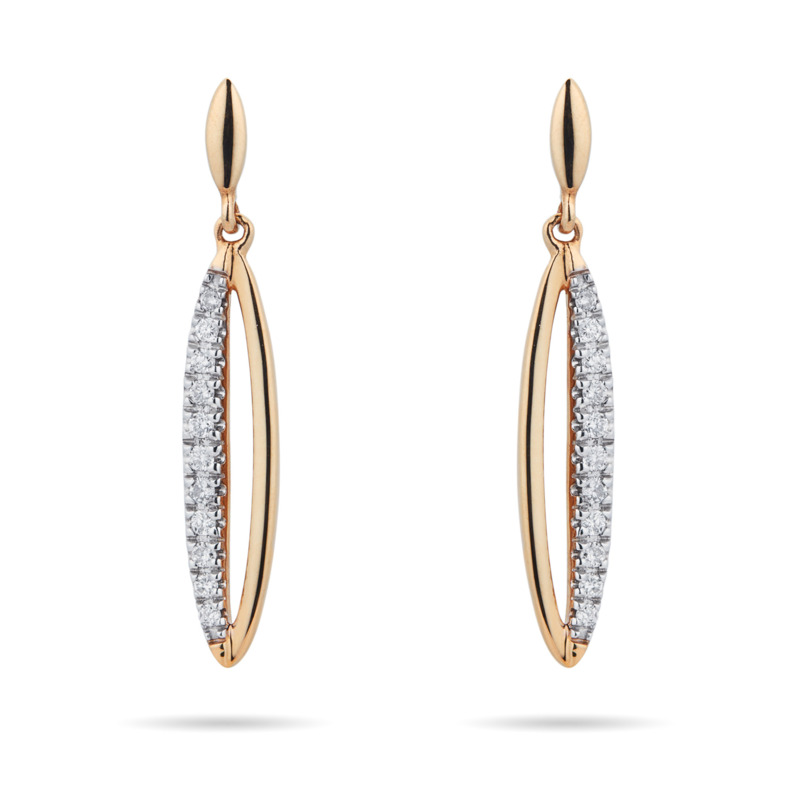 Featuring a striking 9ct yellow gold finish and sparkling diamond detailing, these earrings prove that the possibilities are endless when it comes to experimenting with jewellery design. Ideal for special occasions and evenings spent sipping your favourite cocktails, these earrings are sure to turn heads wherever you go.